To many anglers across the Midwest, walleyes are king. Folks who fish like to catch walleyes. Walleyes are great on the table, and although some say a walleye’s fight is sluggish, on proper walleye gear, marble-eyed fish represent themselves very well. They may not jump like a smallmouth bass, but the headshake and boatside thrashing will get most angler’s attention. In most angler’s book, that’s a good thing. 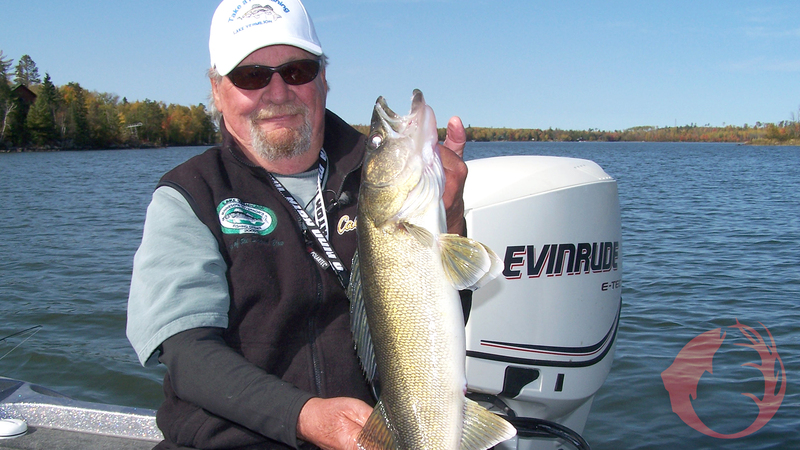 In the past several years, the opportunity to catch big walleyes has improved. Progressive regulations have created outstanding walleye fisheries. If you do a little homework to find a lake that supports big walleyes, your chances for catching one are very good, and the autumn season is the best time to do so. Here’s how. Just as some bodies of water hold big fish and others are home to lots of fish, some areas within a body of water will be better for big fish. If you’re on a spot that looks good but is only providing smaller fish, you should consider moving to another spot. It seems like big fish and smaller fish will usually hold in different areas, or they may use the same area but at different times. Every now and then you might catch a big one with the little guys, but usually big fish hang out with big fish. If you’re fishing deep water structure, keep in mind that the “spot-on-the-spot” will usually hold the biggest fish. For instance, a tiny corner on an underwater hump is perhaps where the big ones will be. Use your depth finder to locate those spots, then concentrate on them. Use big baits. When the walleyes are deep, you can’t beat a Fire-Ball jig or a live-bait rig with a redtail chub. A six incher isn’t too big: Go bigger if you can find them. You’ll be increasing your chances for a lunker walleye if you use big bait. If you’re on a lake that has big walleyes working shallower areas like wind-blown rock piles, throw a Red-Eye Shad. This bait was designed for largemouth bass, but walleyes, especially the big ones, really like it. It’s a rattling, sinking bait. Let it sink close to the bottom and then try a straight retrieve. If that doesn’t do the trick, try ripping it. If walleyes are home, they’ll eat this guy. Finally, if a big walleye is high on your priority list, consider fishing at night. Deep, clear lakes often have populations of trophy walleyes that are most accessible when it’s dark. They are up in the shallows chasing fall spawning baitfish. These are big baitfish, and it takes a big walleye to eat them. Troll or cast crankbaits. A Strike King Lucky Shad we’ve discovered lately is as good as it gets when it comes to walleyes. Some anglers like to match the hatch, others like a bait that is a completely different color than what the walleyes are feeding on. Only by experimenting will you learn what they want. The next few weeks will be a great opportunity to catch a truly big walleye. Take advantage of this opportunity. Photo: It was a couple of years ago in the fall on Lake Vermilion in northern Minnesota when this very nice walleye ate a Fire-Ball jig tipped with a big minnow.